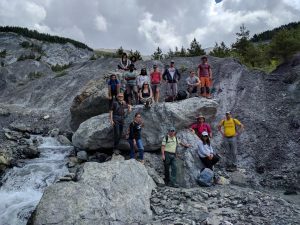 Beginning of June 2017, the field-camp in risk and slope processes for master students took place in the valley of Ubaye, at Barcelonnette (France). During almost two weeks, the students have mapped the Lavalette landslide, analysed the stability of a large rock wall, made rockfall mapping and numerical modelling, and discovered the debris flows mitigation measures in the Riou Bourdou watershed. 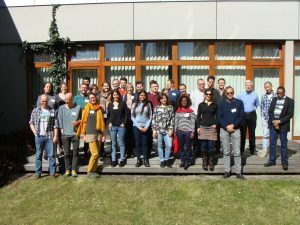 Agnes Kouame, PhD student in the Risk group, attended the Hydrus short course on 28-29 Mars 2017 at the Faculty of Agrobiology, Food and Natural Resources of the Czech University of Life Sciences. 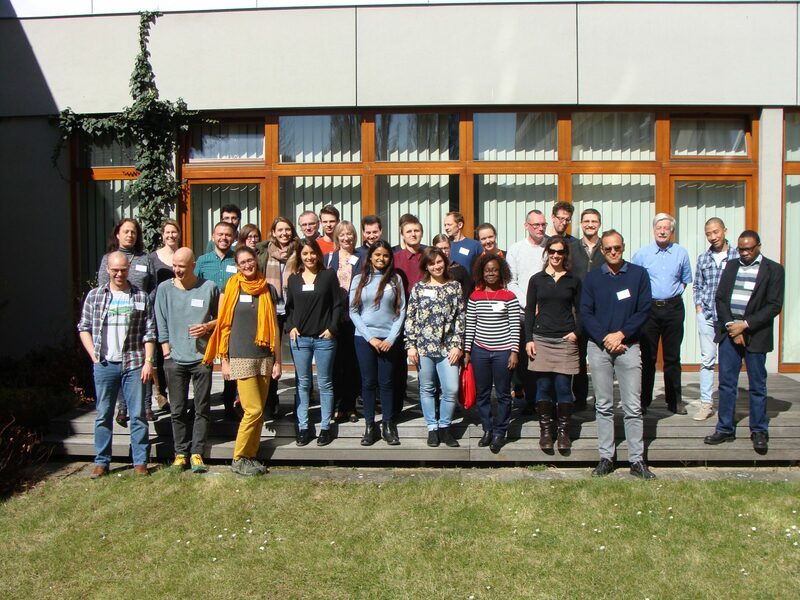 This theoretical course allowed students to understand the conceptual and mathematical description of water flow and solute transport processes in the vadose zone and groundwater with HYDRUS 1D/2D. It included practical sessions with HYDRUS and its additional modules like ROSETTA, HP1 and UNSATCHEM. 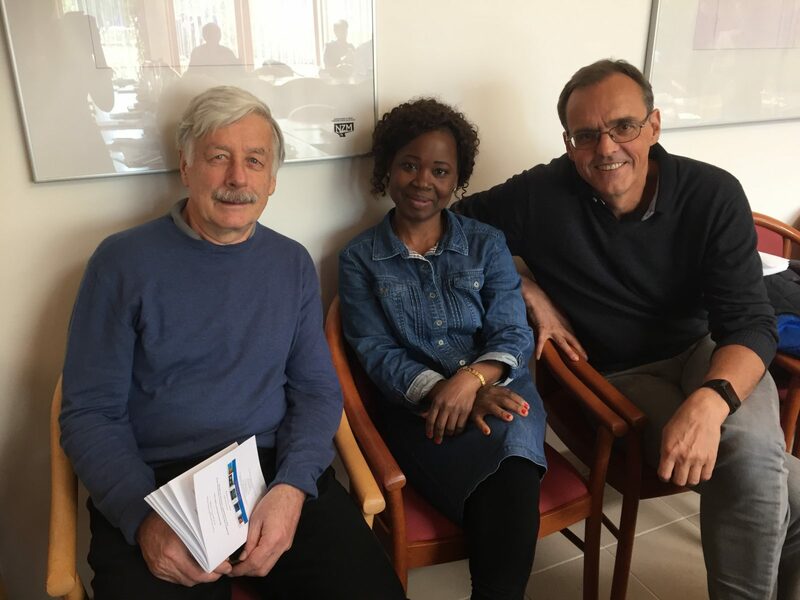 The 5th International Conference on Hydrus Software Applications to Subsurface Flow and Contamination Problems was an opportunity for Agnes to meet Professors Van Genuchten and Dr. Jirka Šimůnek authors of HYDRUS code. 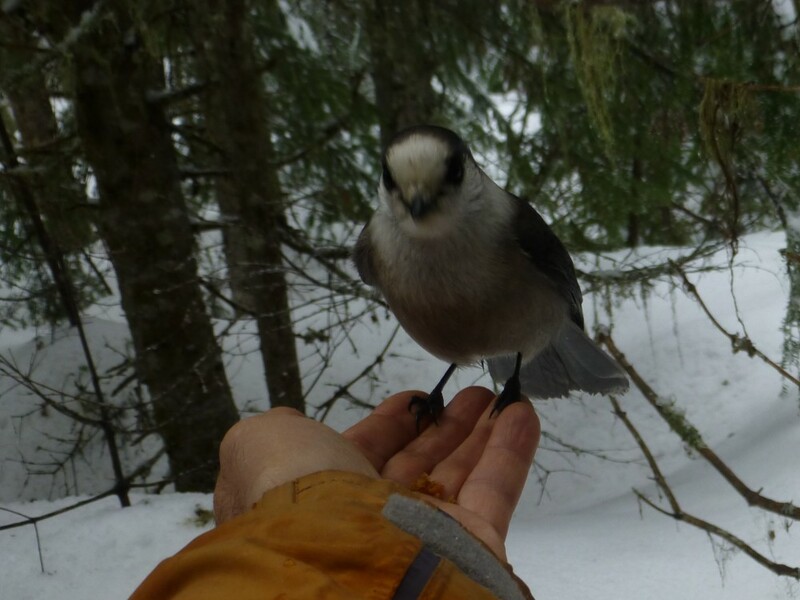 Pierrick Nicolet defended publicly on the 9th of January his PhD entitled “Quantitative risk analysis for natural hazards at local and regional scales”. The thesis aims at improving the quantification of the potential consequences of natural events and is divided in two parts. The first part deals with risk analysis at local scale, which is particularly useful to prioritize the subsidies of protection measures. When it comes to the second part, regional stochastic models are proposed and are oriented towards the portfolio management for public buildings insurances companies. Since the thesis was accepted, the full text is now available for download here, and the full abstract is available here. Natural hazards can have damaging consequences for human activities, causing death or economic losses. 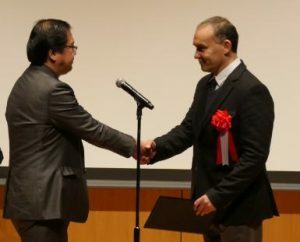 This PhD thesis concentrates on the risk of natural hazard, where risk is defined as the combination of the likelihood of a damaging event and its negative consequences. The types of hazards considered in this work are mostly geological hazards such as landslides and sinkholes, but hail is also investigated. The first part of this work focuses on the local scale, where local stands for a small group of objects, typically a few houses or a road. First, in order to improve the characterisation of the hazard, the potential of the photogrammetric method, which consists in retrieving the 3D position of objects from a set of 2D pictures, is tested. 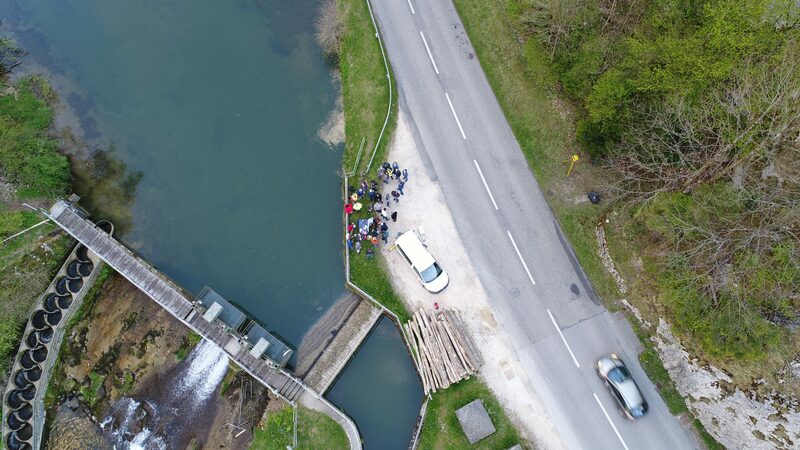 Together with this promising method, Unmanned Aerial System (UAS) are presented, since they permit to carry a camera and thus to take pictures for a photogrammetric analysis. Then, a tool to calculate the risk at local scale is presented. This tool is designed in Microsoft Excel an aims at calculating rapidly the risk using hazard maps produced according to the Swiss guidelines. A particular aspect of this model is presented in the next chapter; it reviews the methods used to calculate the conditional probability for a falling object, such as a rock block, to impact a moving vehicle, taking into account the dimensions of the block and of the vehicles. Then, prospective aspects of such a risk model are presented and deal with the addition of multiple risk scenarios and the inclusion of uncertainty in the risk analysis using a Monte-Carlo approach. To conclude this part, a method which aims at taking the protection measures into account in the hazard maps without losing the initial hazard level is presented. The second part of this work presents risk analyses at regional scale, where the region varies from the size of a canton to the size of a (small) country. The first study concerns the risk induced by evaporite sinkholes on a building portfolio. An inventory of damaged buildings is built from different sources and projections are made to estimate the losses that the public building insurance company could face if this type of hazard was insured. 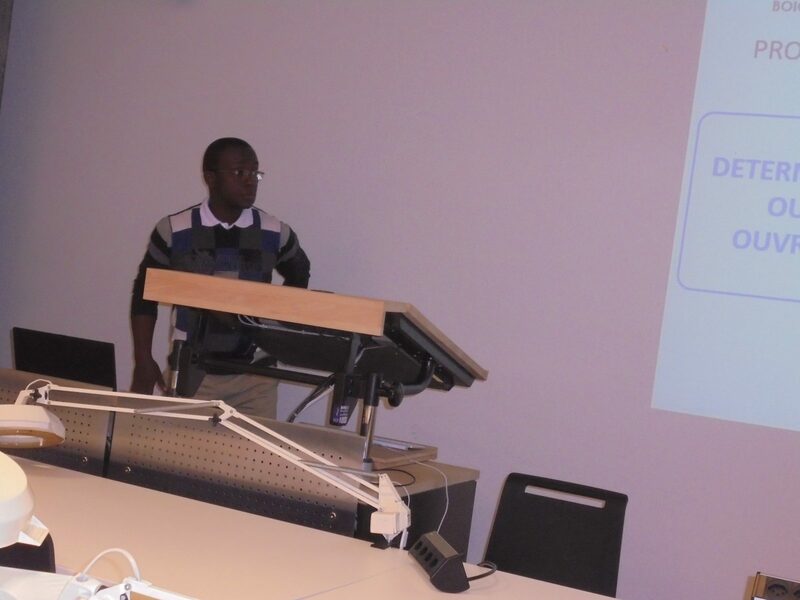 Then, a stochastic model which aims at modelling shallow landslides with regard to a precipitation event, and at calculating the probability of impact with buildings is presented. It shows that the location of the landslides which occurred during the precipitation event considered in this study is positively correlated with the building location, suggesting a human influence in the landslides. To conclude this part, an analysis based on a hail event is presented and aims at relating the radar-derived maximum hailstone size reached during an event with the losses, at calculating the mean annual risk using this relation and at modelling random event to refine the risk analysis. Although the basic principles of risk analysis are relatively simple, this work highlights the diversity of the risk analyses procedure and the need to adjust the procedure to the research question. In addition, it highlights the need for good inventories of events and consequences, since these inventories are crucial to perform a good risk analysis. From 15 to 26 March 2017, Dr. Jean Kouamé visited the risk group at the University of Lausanne to help on the finalization of Amenan Agnès Kouamé’s thesis directed by Prof. Michel Jaboyedoff. During his visit Dr Kouamé gave a presentation on the “Contribution of the modeling in the determination of the protection perimeters of the catchments: case of the water table of Bonoua (South-east of the Ivory Coast). 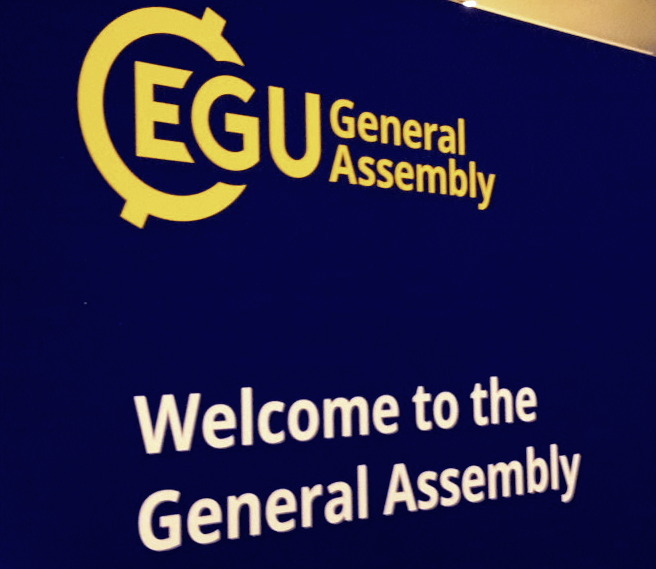 The Risk Group participated to the European Geosciences Union (EGU) General Assembly in Vienna, Austria, on 17 April to 22 May 2017. 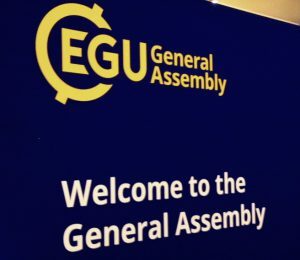 This huge meeting brought together 14’496 scientists from 107 countries with 4’849 orals, 11’312 posters and 1’238 PICO presentations. Rockfall travel distances theoretical distributions Michel Jaboyedoff et al. 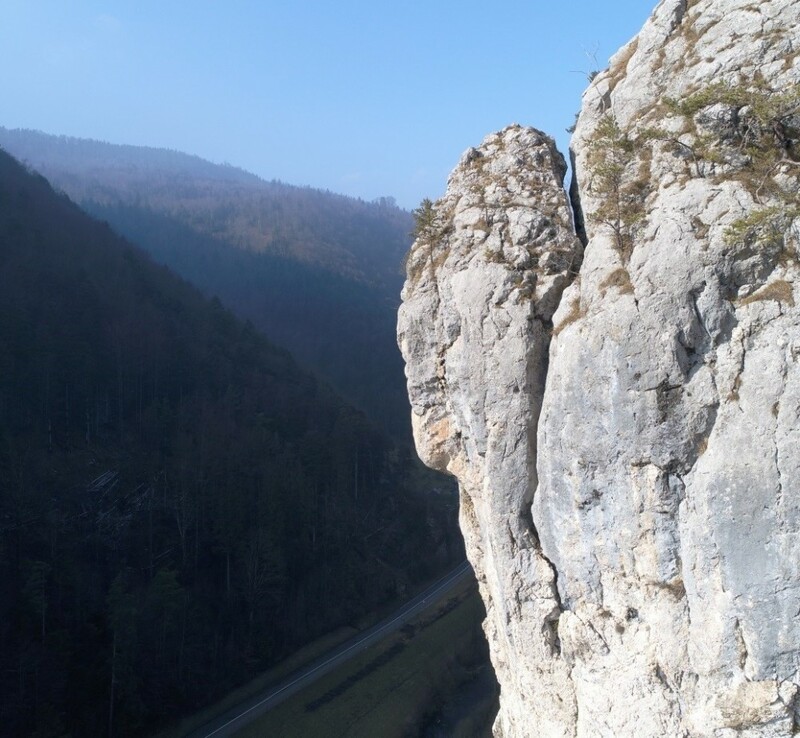 Rockfall monitoring of a poorly consolidated marly sandstone cliff by TLS and IR thermography Caroline Lefeuvre et al. Characterization of the deformation and thermal behavior of granitic exfoliation sheets with LiDAR and infrared thermography (Yosemite Valley, USA) Antoine Guerin et al. Optimizing the use of airborne LiDAR data for a better analysis and communication of 3D results​ François Noël et al. Debris flows susceptibility mapping under tropical rain conditions in Rwanda. Five years database of landslides and floods affecting Swiss transportation networks Jérémie Voumard et al. 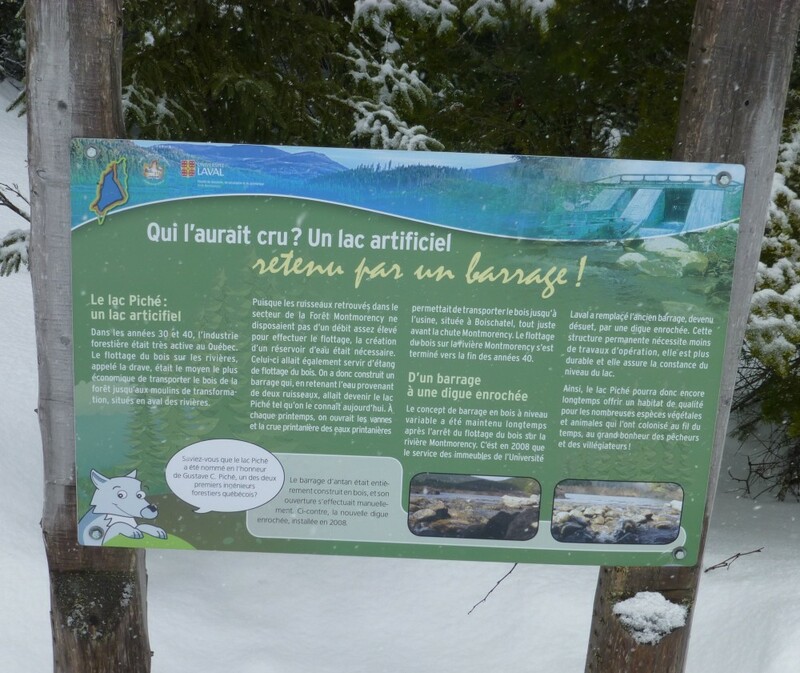 Three consecutive years of road closures due to natural hazards in the Weisstannen valley, Canton of St-Gallen, Switzerland Jérémie Voumard et al. Experimental insights of liquid impacts onto granular beds of various packings : The packing influence over the excavated volumes Emmanuel Wyser et al. 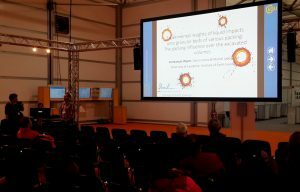 Integrated risk management and communication: case study of Canton Vaud (Switzerland) Veronica Artigue et al. Radiometric enhancements of thermal infrared images for rock slope investigation by coupling with groundbased LiDAR Marc-Henri Derron et al. Landslide-Generated Tsunami model Martin Franz et al. Introducing a moving time window in the analogue method for precipitation prediction to find better analogue situations at a sub-daily time step Pascal Horton et al. Using genetic algorithms to achieve an automatic and global optimization of analogue methods for statistical downscaling of precipitation Pascal Hortonet al. Understanding three decades of land use changes and a cloudburst in Phewa Lake Watershed, Western Nepal Karen Sudmeier-Rieux et al. Automatic 3D relief acquisition and georeferencing of road sides by low-cost on-motion SfM Jérémie Voumard et al. Preliminary 2D numerical modeling of common granular problems Emmanuel Wyser et al.